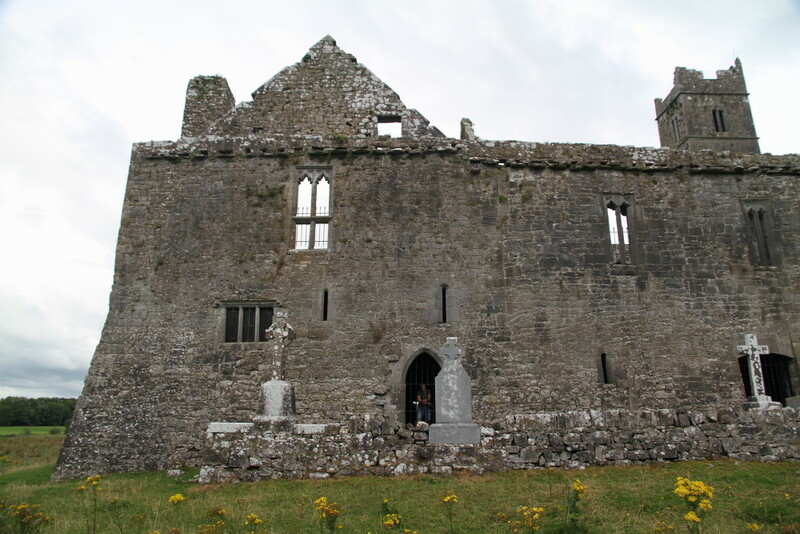 The well preserved friary in Quin, County Clare, was founded around 1402 by MacNamara clan for franciscan friars, and became an Observant Reformed house in 1433. 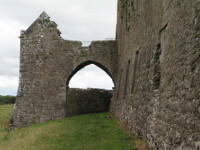 It was established on the ruins of four-towered Norman castle built here by Thomas de Clare around 1280, and destroyed by native Irish clans after winnig battle of Dysert O'Dea in 1318. 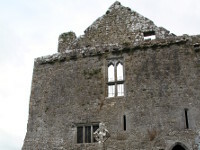 The remains of the castle are still visible on the site. 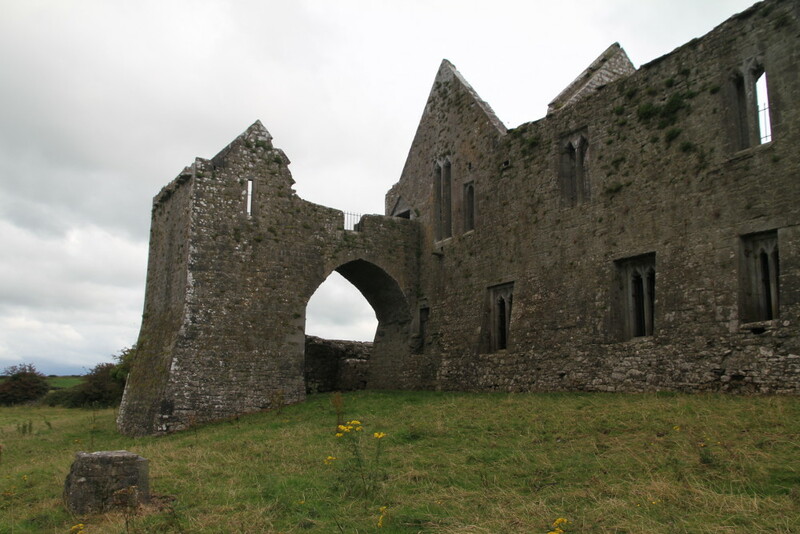 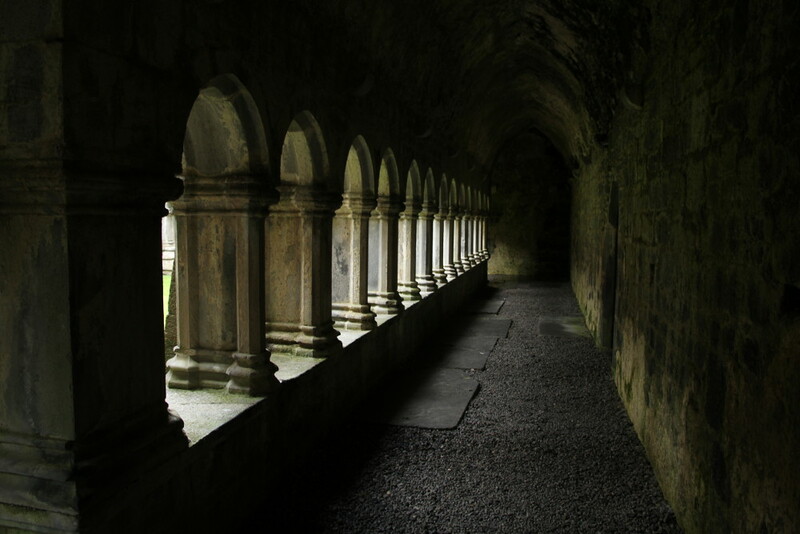 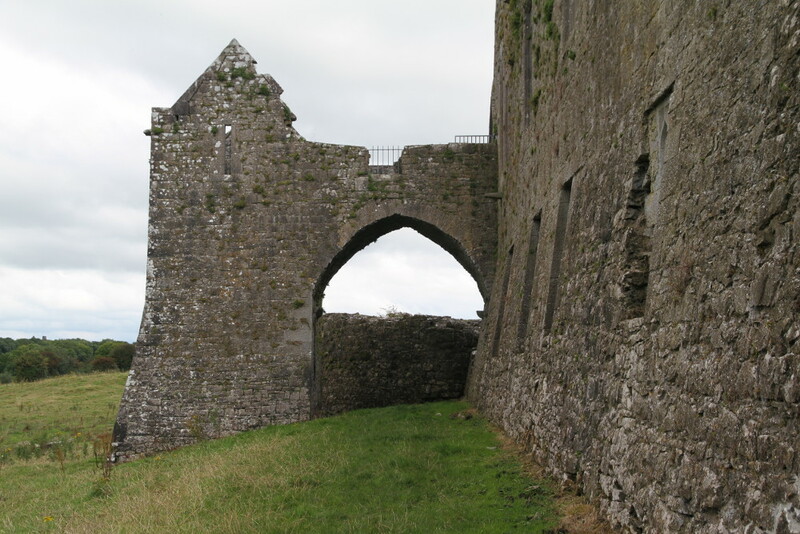 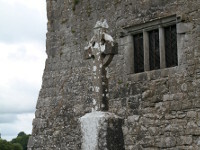 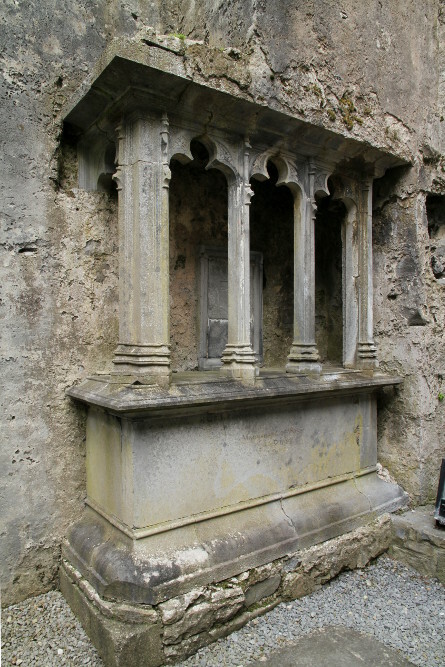 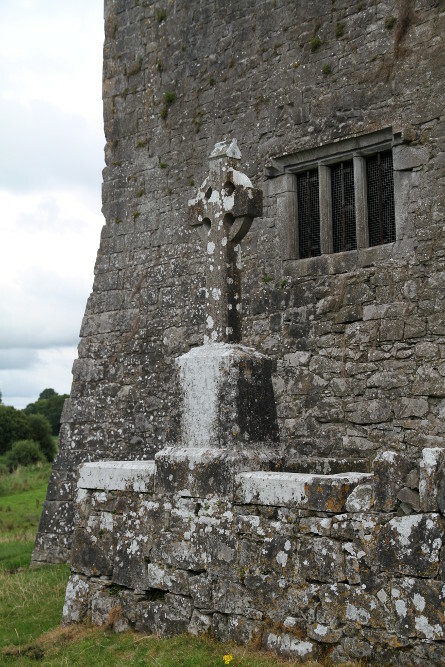 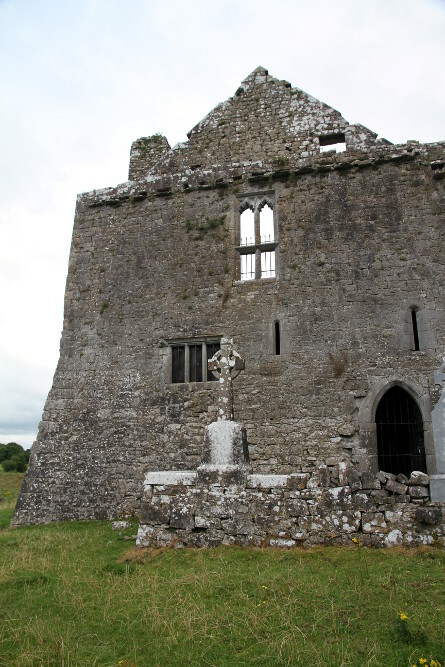 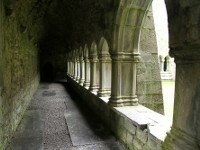 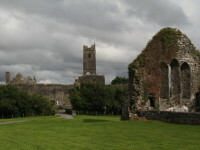 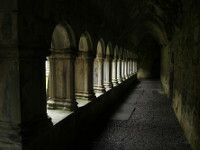 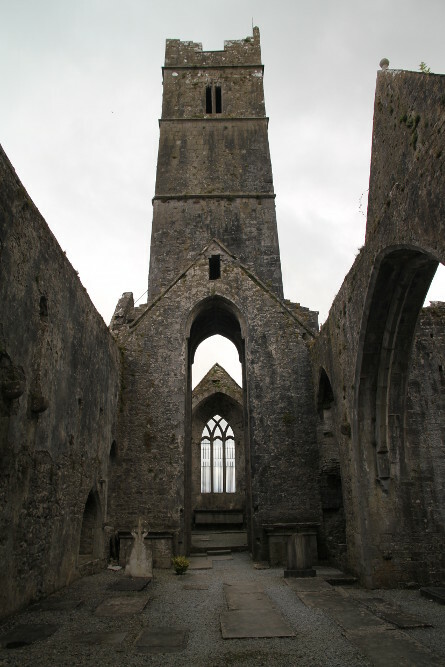 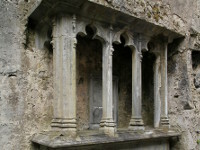 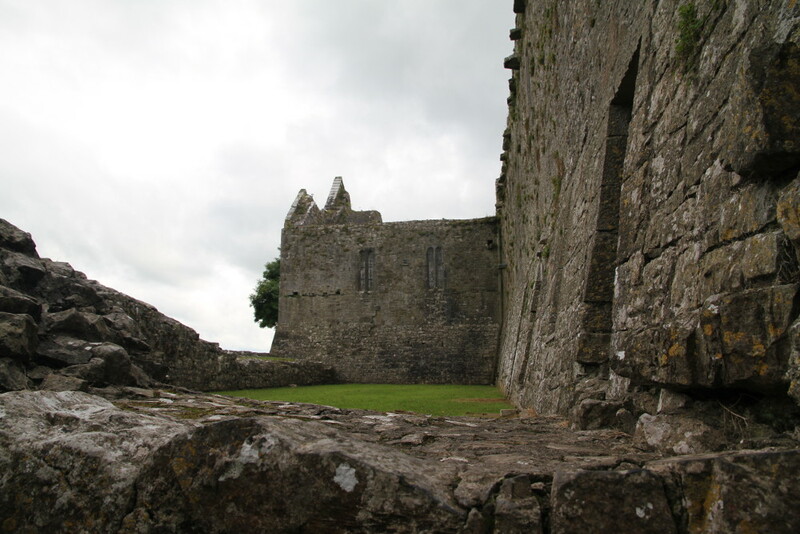 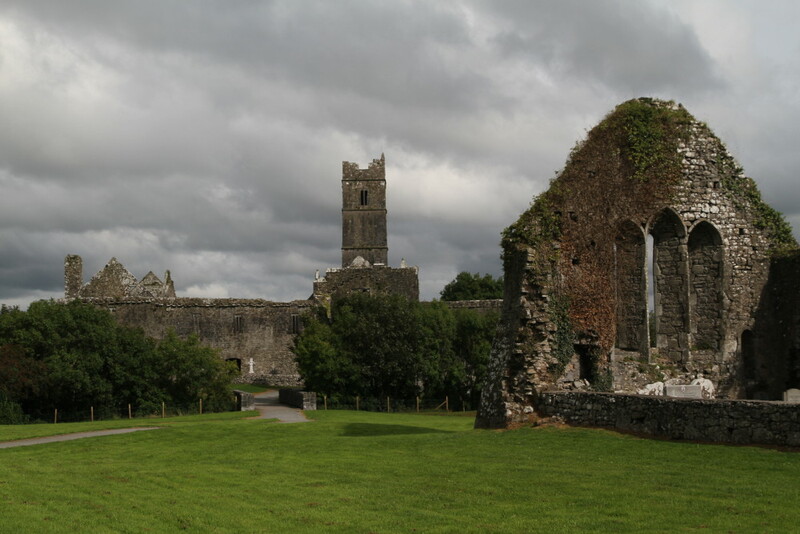 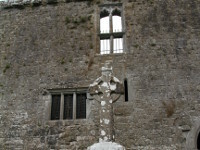 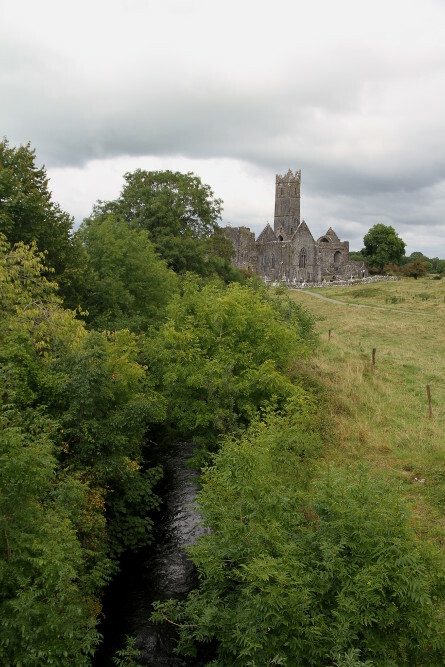 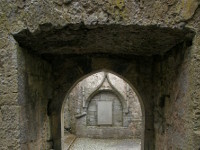 In 1541, during the dissolution of the churches Quin Friary was granted to O'Briens family. 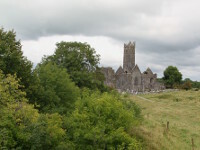 Then friary passed through many hands and monks were leaving and comming back here until 1760, when they were expelled for good by Colonels William and Henry Stamer. 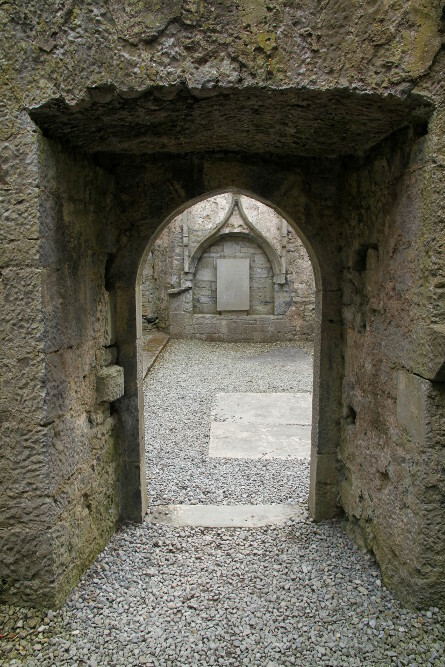 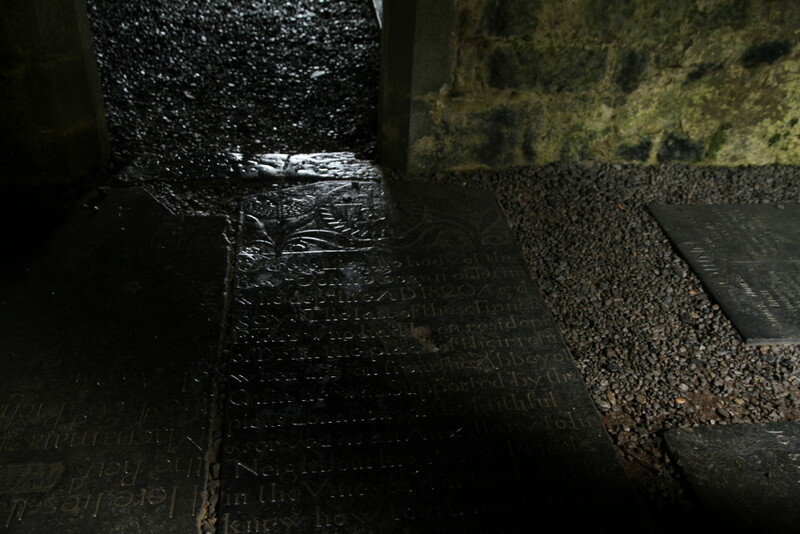 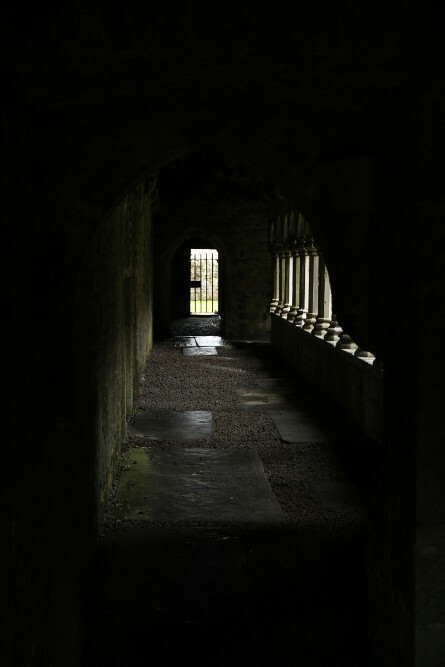 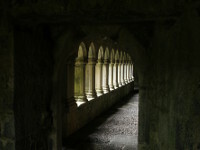 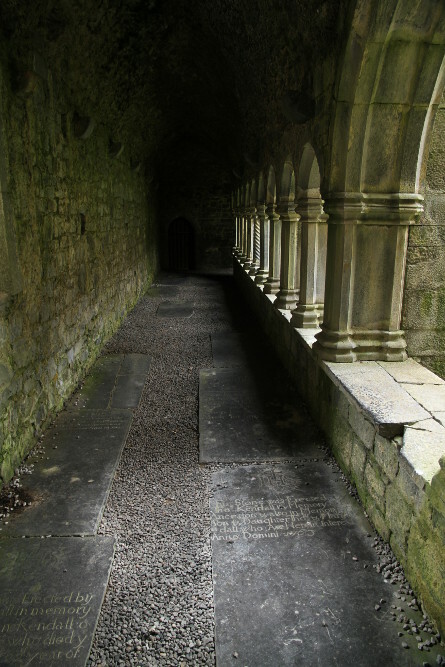 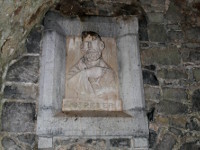 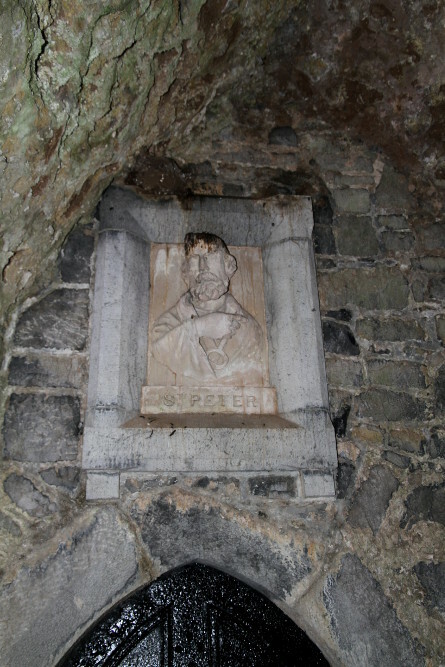 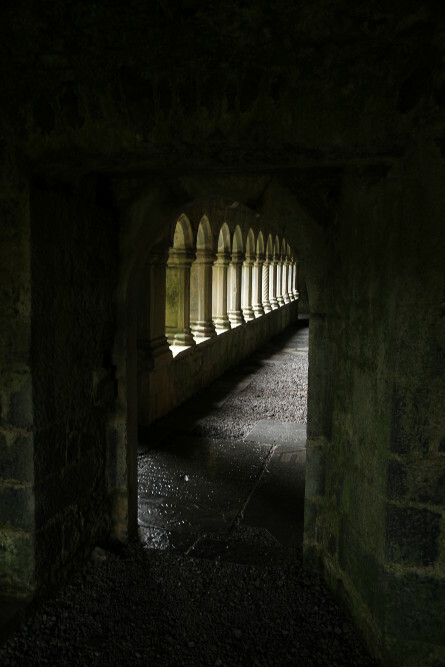 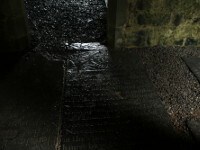 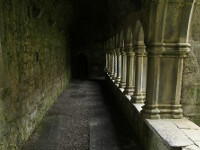 The only one friar who stayed there until his death in 1820 was John Hogan, whos grave can be found in east cloister walkway. 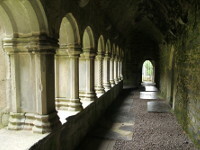 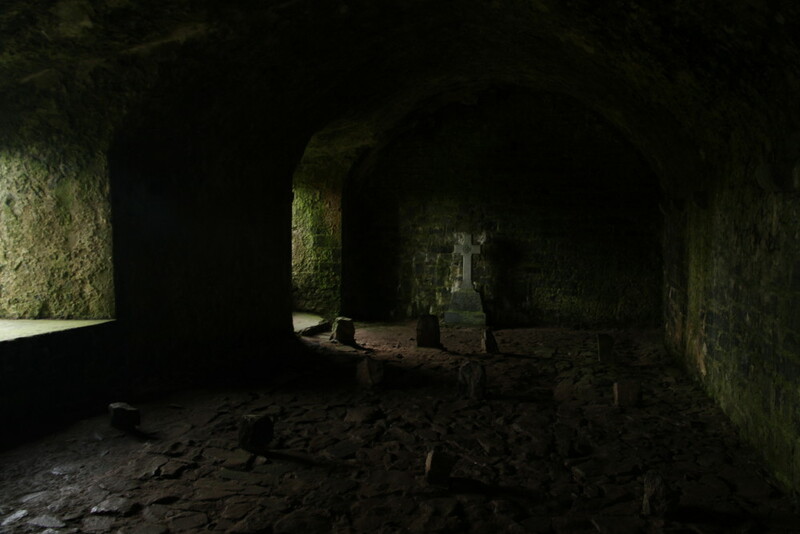 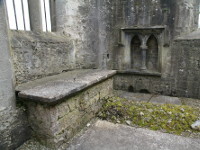 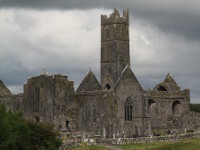 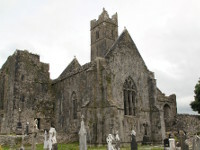 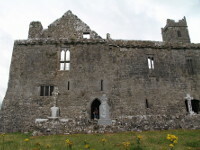 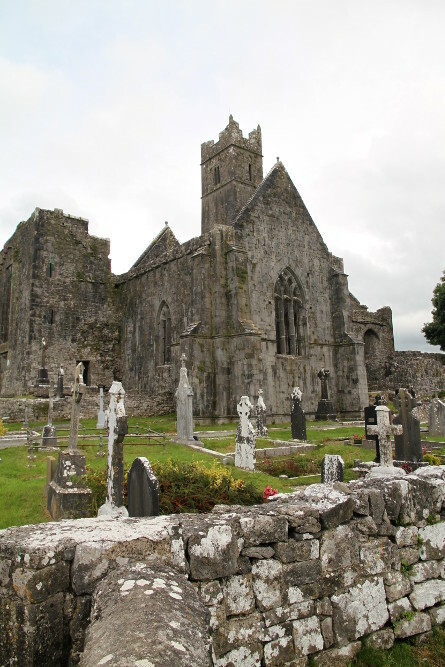 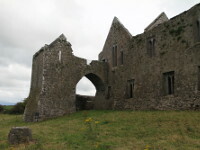 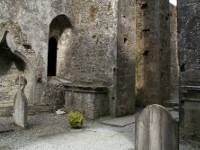 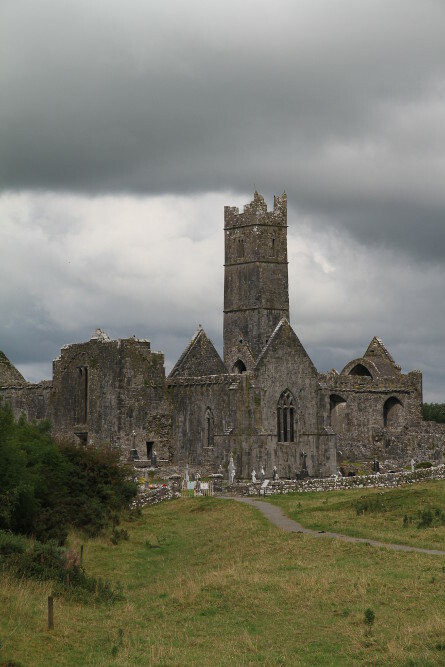 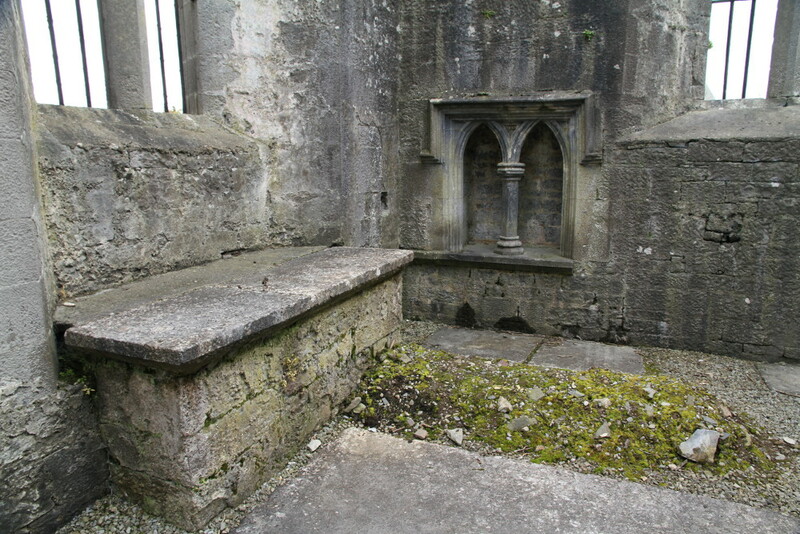 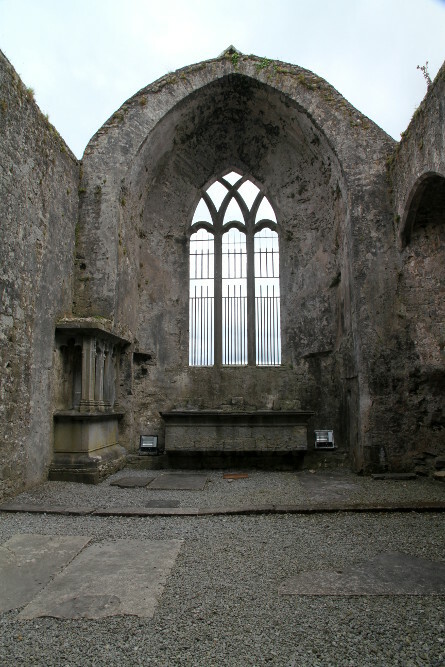 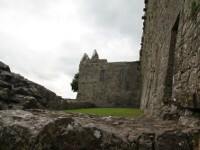 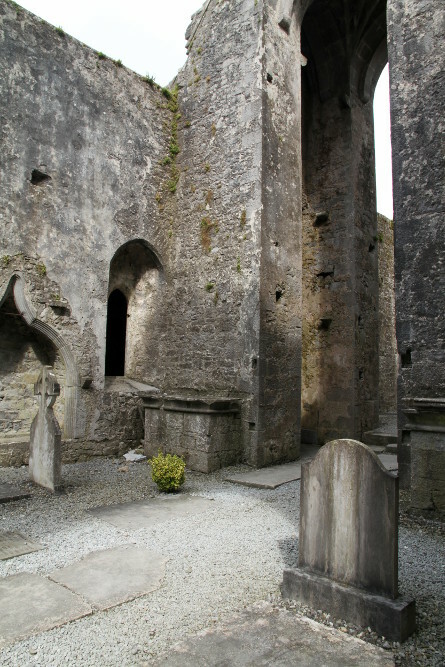 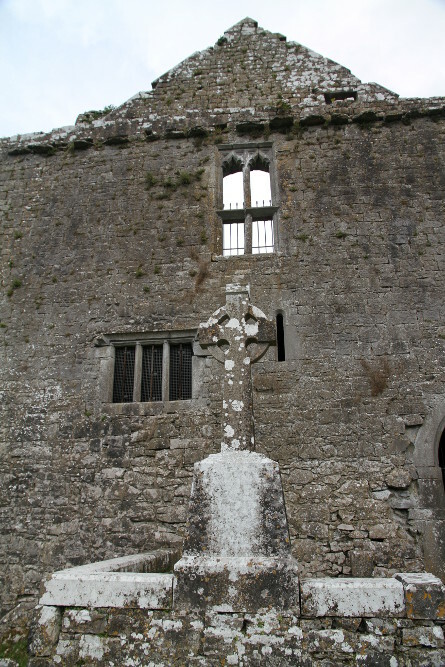 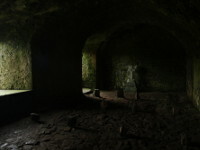 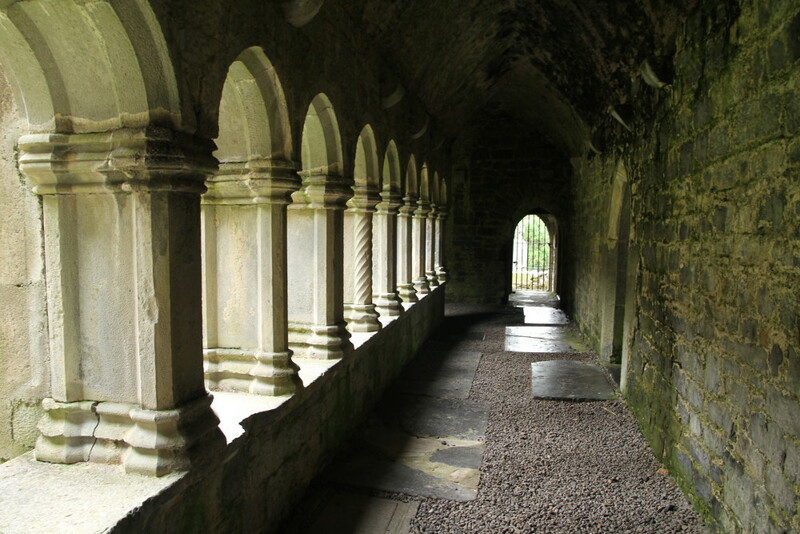 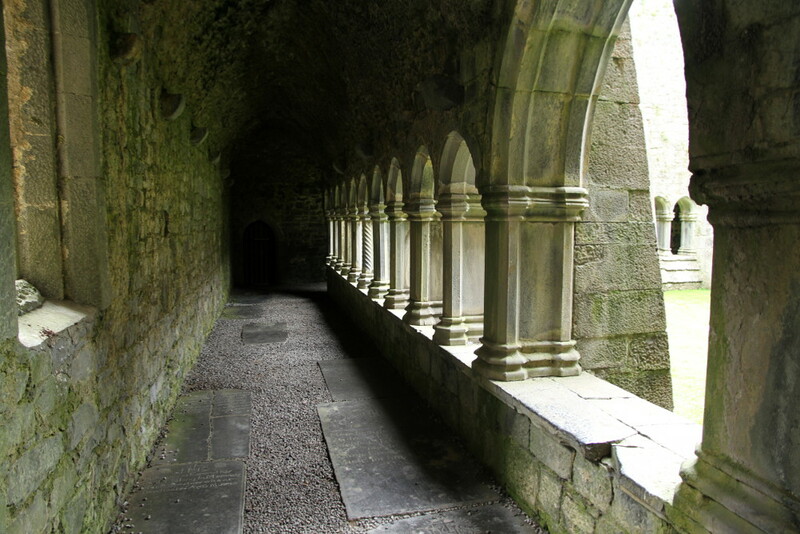 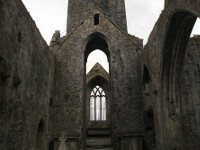 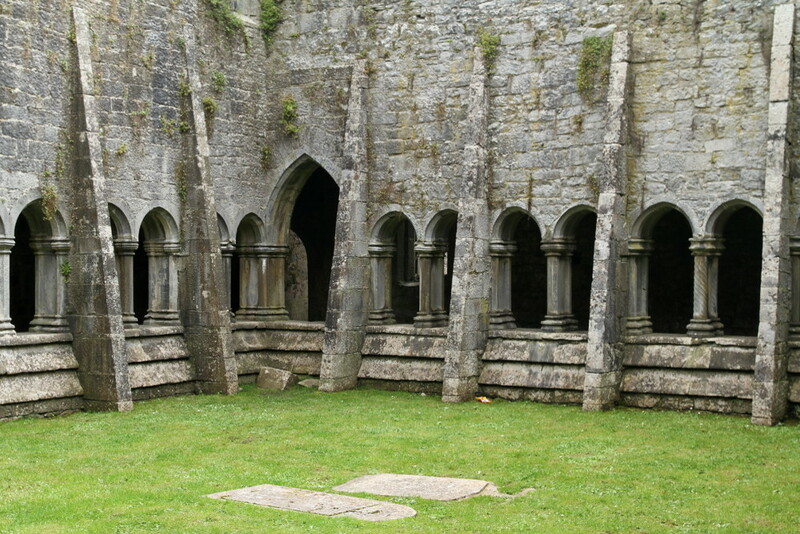 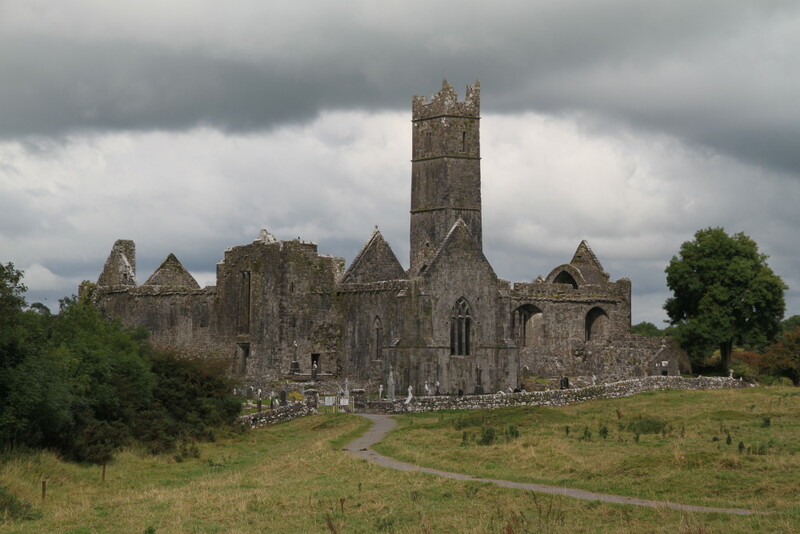 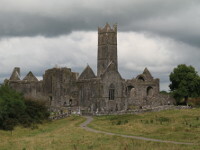 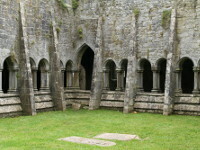 Although mostly roofless, the Quin Friary is relatively well preserved and consists of church with nave and chancel, tower, cloister and domestic buildings. 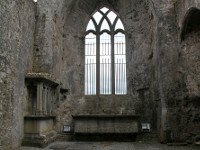 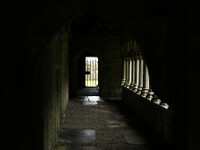 There are also many examlples of Gothic windows of various forms.